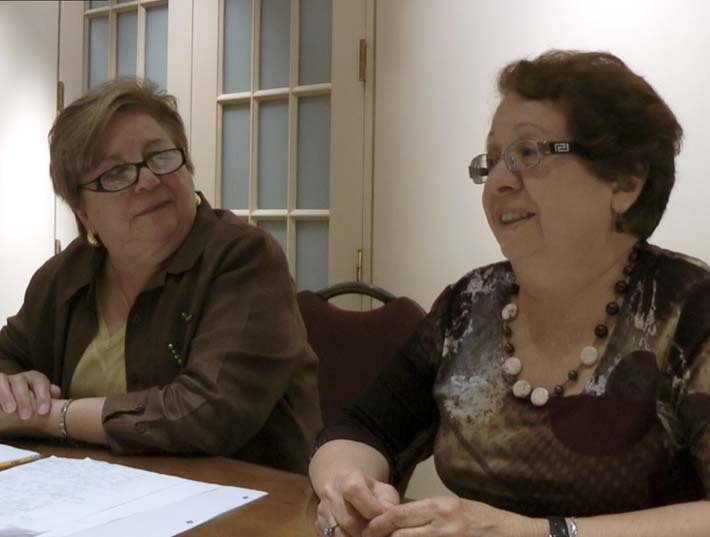 Sisters Linda Rosati and Noreen Alberico describe the experiences of their parents during World War II. Their father, Domenic Gaggi, immigrated to Canada in 1927, and their mother, Yolanda, was born to immigrant parents in Toronto. Domenic Gaggi moved to Sudbury to work in the mines and worked for Inco for 17 years. The couple got married in 1939, the year war broke out. Despite Yolanda being Canadian-born, she was designated an enemy alien during the war and had to report to the Royal Canadian Mounted Police (RCMP). Their father, who owned a firearm for hunting, was issued a resident alien weapon permit and was required to wear a tag when hunting. Both were Canadian citizens at the time. Linda Rosati and Noreen Alberico also describe how other Italian Canadians lost their jobs during the war and were discriminated against due to their Italian heritage. Both interviewees describe how, as second-generation Italian-Canadians, they maintain Italian traditions, and express their desire to spread information about this aspect of Canadian history to other Italian Canadians.